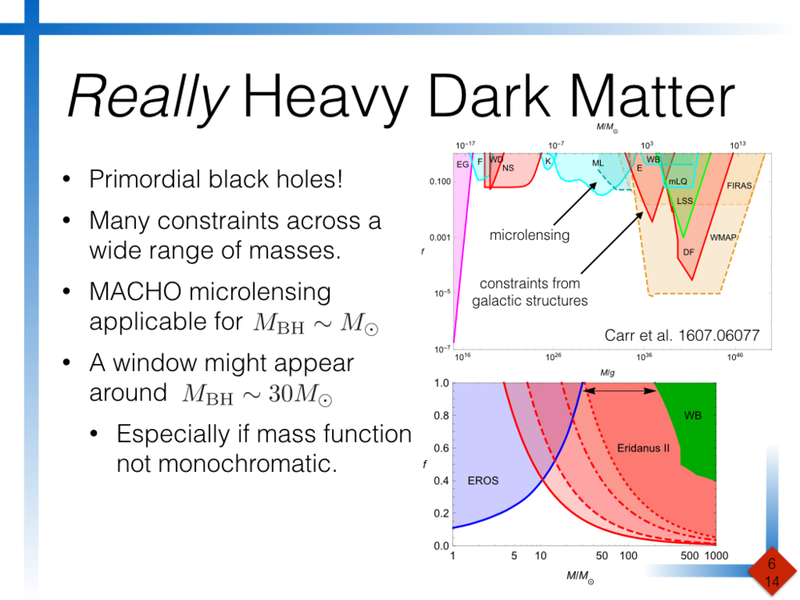 I'm down at Princeton for a workshop on non-WIMP dark matter. 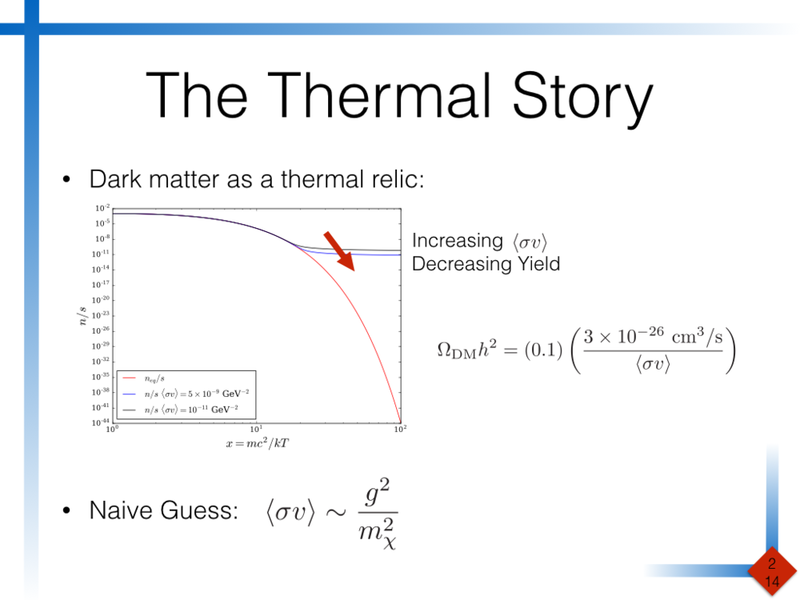 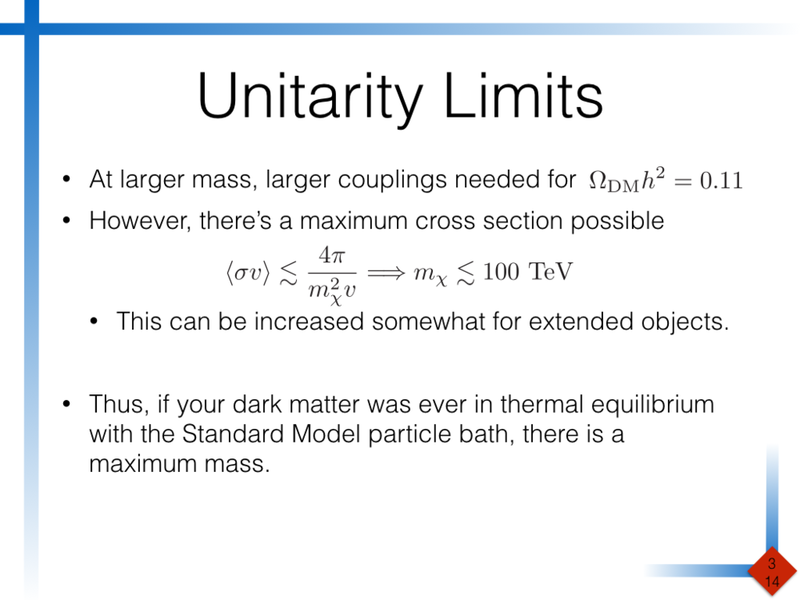 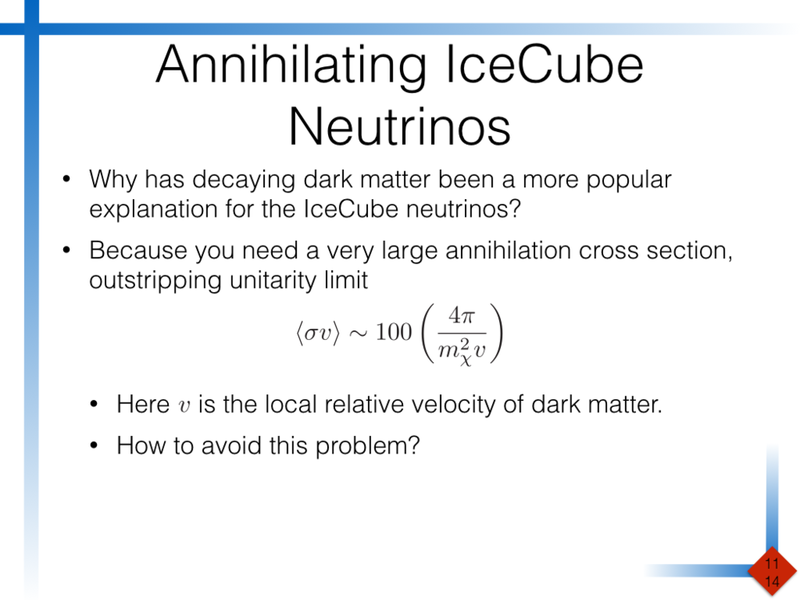 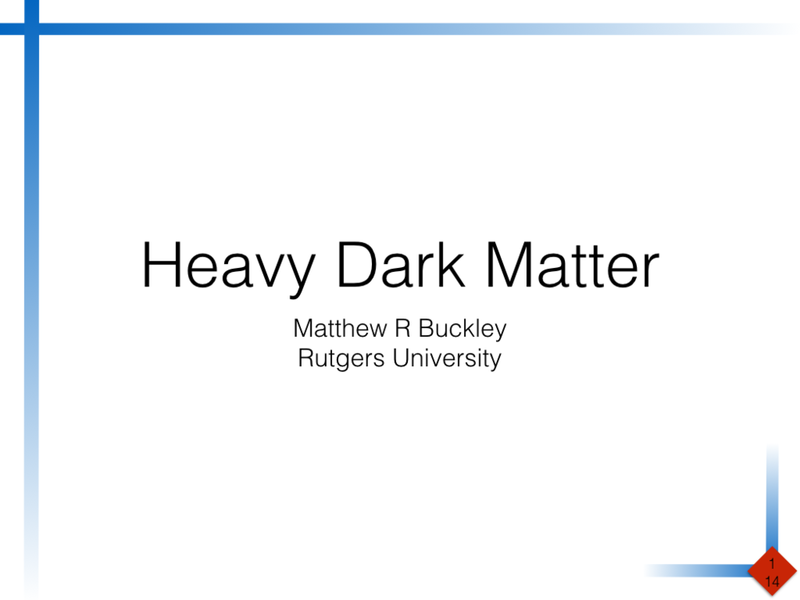 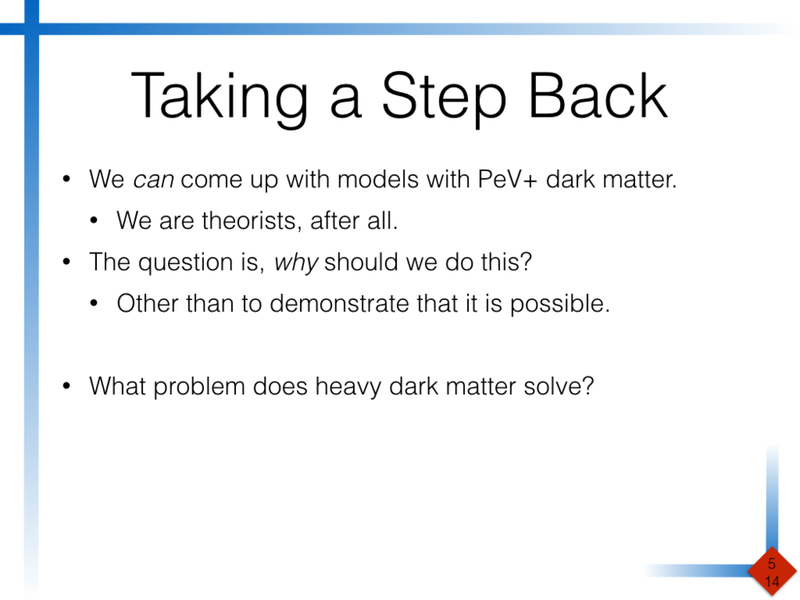 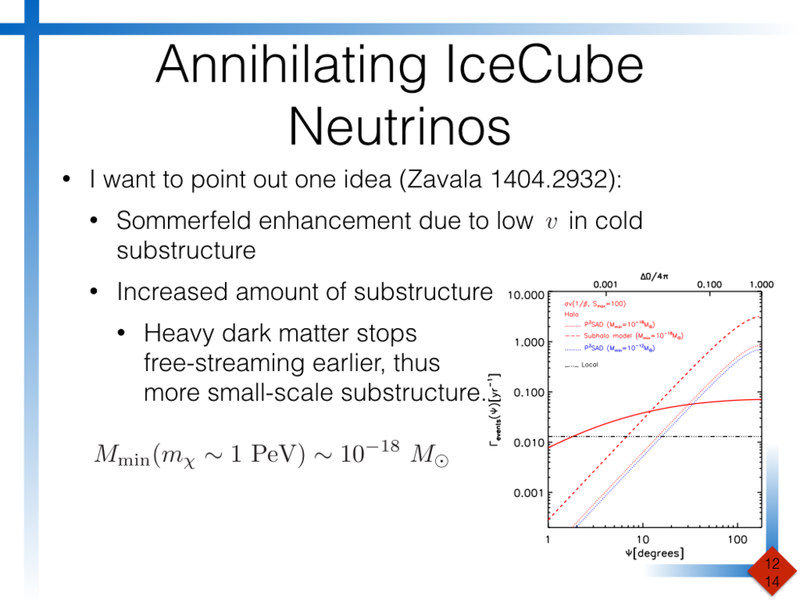 I was asked to give a talk on heavy dark matter (heavy here being heavier than a PeV or 1000 TeV). 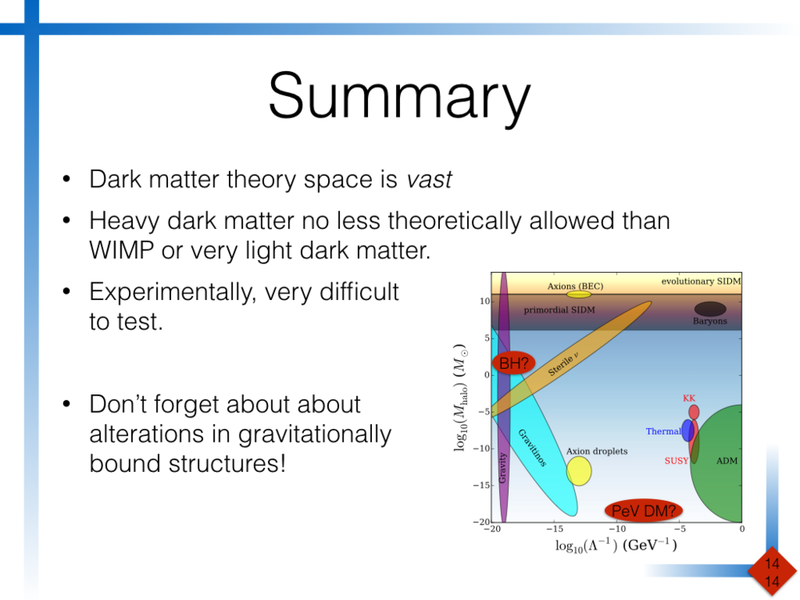 This was intended to be a talk to generate discussion, thus the slides themselves are a bit thin on details. 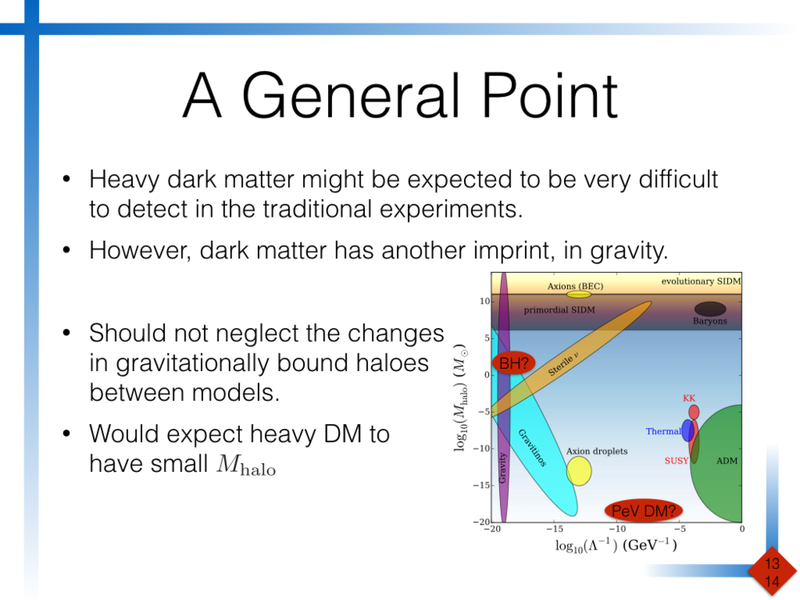 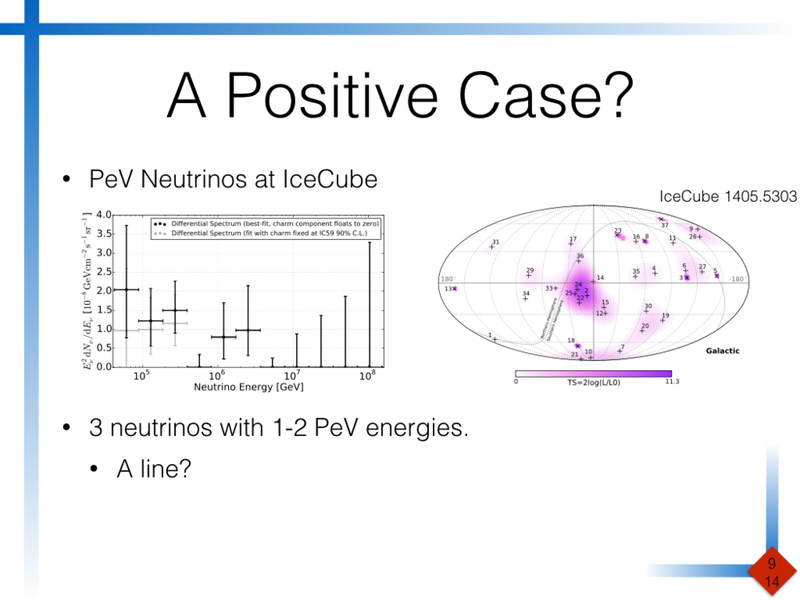 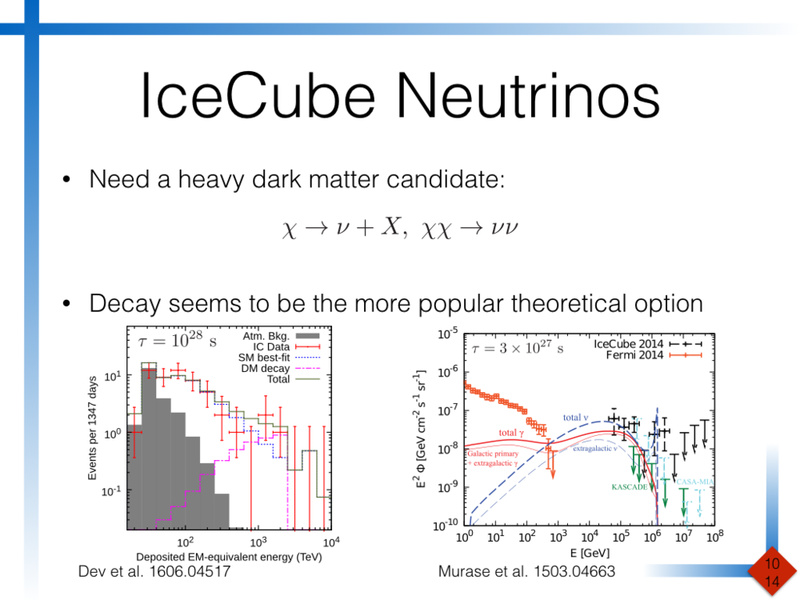 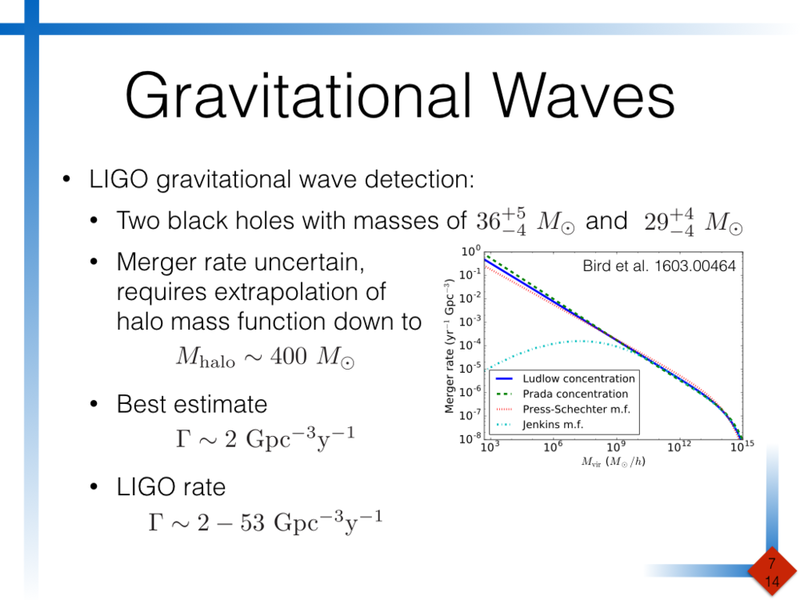 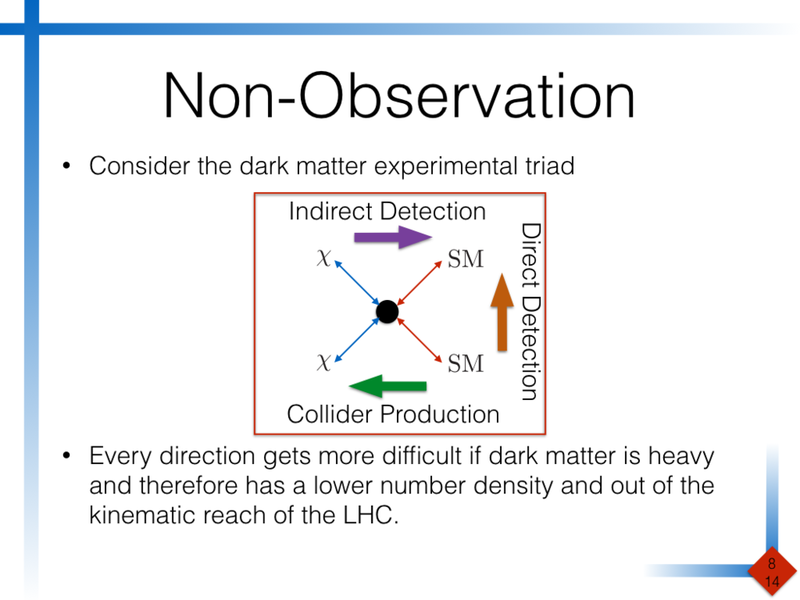 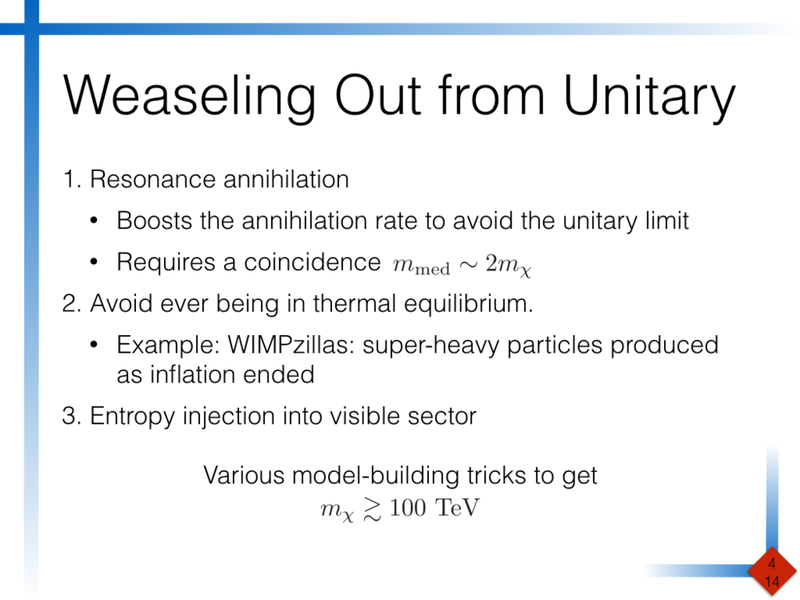 Given the parameters of the talk, and my current research interests, I chose to focus on what signatures we might look for with heavy dark matter, which is typically extremely difficult to detect using "normal" techniques.